A passed pawn is a pawn that cannot be stopped by any other pawns on its way to promotion. This is one of the biggest assets a player may have in the endgame. A passed pawn imposes a very serious threat to the opponent, due to its ability to promote and to create a decisive advantage. On the diagram below you can see that the white a5 pawn is not only passed, but also located on the other side of the board. These two factors make the a5-pawn extremely valuable. Black king cannot intercept this pawn, which guarantees a safe promotion, and secures the win. 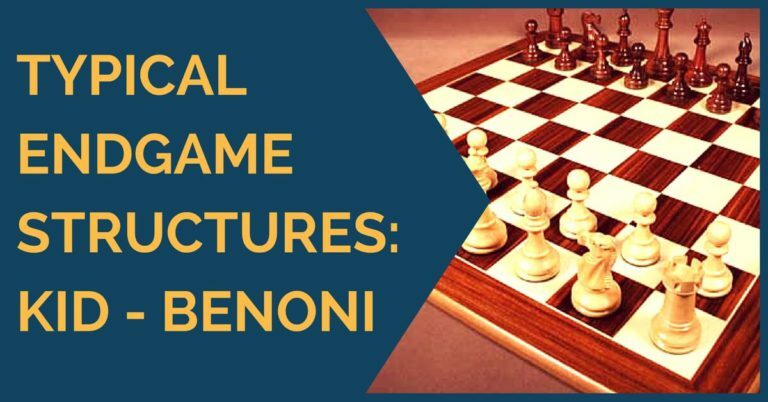 Note: In order to develop a positional understanding it is necessary to go over the annotated GM chess games, and to think why certain moves were made. Only when you put yourself in the the stronger player’s shoes you will be able to fully understand the problems he was facing in the game and your will be able to improve your own chess. That’s exactly what you can do by studying our training course. An isolated pawn is a pawn that cannot be protected by any other pawns. In King and Pawn endings this is especially important since isolated pawns become tremendously weak. They require constant protection by the king, making him unavailable for more important (offensive) tasks. On the diagram below the white b4 pawn is an isolated pawn, because it cannot be defended by other pawns. That gives black a permanent weakness to exploit. In white’s best interest would be to exchange this pawn for a “healthy” c6 pawn. Connected pawns are the pawns that can protect each other. This is by far one of the strongest pawn structures, and you should aim for it in your own games. On the diagram below both white and black have connected pawns. However, white’s structure is superior to black’s one for two reasons. First of all, the white’s pawns control more squares, which is important for keeping the opponent’s king away and restricting his pawns from moving forward. Second reason why white’s pawn structure is superior, is because it allows more flexibility with both e5 and f5 advances freely available. Backwards pawn is one of the connected pawns that cannot move forward because it will be captured by the opponent’s pawn. As we can tell from the definition, “backward pawns” is something to avoid. On the diagram below both white’s and black’s pawns are connected. Black’s d6 pawn is the backward pawn, making the pawn structure weak. White’s b5 pawn is very strong because it is a protected passed pawn. Doubled pawns are the pawns of the same color, located on the same file. 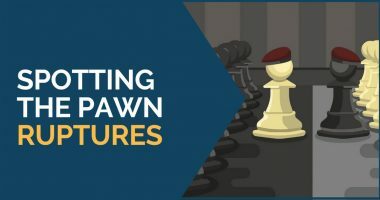 This is probably one of the weakest pawn structures because not only doubled pawns cannot protect each other, but they also can be easily blocked with a single opponent’s pawn. On the diagram below white has 2 doubled pawns on the d-file, which are blocked by a single black’s pawn. Even though white is technically a pawn up, the position is equal because of the nature of white’s pawn structure. Hanging pawns are connected pawns that will be attacked by the opponent’s pawns if they move. On the diagram below the white’s c and d-pawns are considered to be hanging pawns. This is the example of weak pawns, however hanging pawns can have some advantages associated with their mobility, flexibility and enhanced control of adjacent squares. Pawn majority means that there are more pawns of one color than opponent’s pawns on one side of the board. 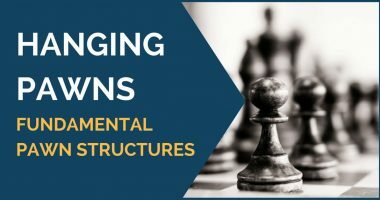 Pawn majority is a valuable asset, because it often leads to a series of exchanges and creation of a passed pawn. On the diagram below white has a queen’s side majority and good chances at winning the game.